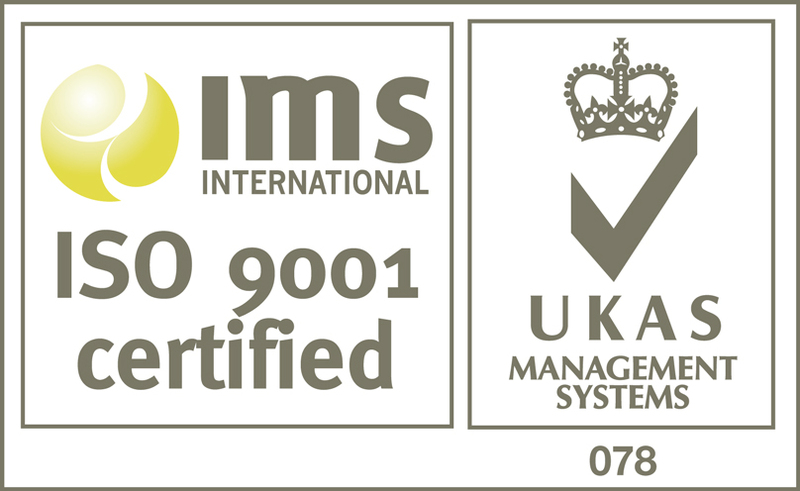 In March 2016 we announced we had received our ISO 9001:2008 certification. Less than 2 years on, we are proud to say we have just received notification of our updated certification to ISO 9001:2015! So what’s different about the 2015 version? Well, for us it didn’t involve too much change. As we knew this version was coming, we already had many of the necessary policies, practices and procedures in place, and had incorporated some of the requirements for the 2015 version in preparation. Risk is a term that features more often in the 2015 version. As a result, we’ve documented more risk assessments to highlight business risks and opportunities. Leadership features more prominently, but with Tim fully supportive of 9001, this was just a formality. He even impressed the auditor with his knowledge of the ISO 9001 lingo! There is also more focus on supply chain management, so suppliers may notice we are tightening up on documentation and evidence to demonstrate our supplier chain quality. We ask for your patience while we continue with this. 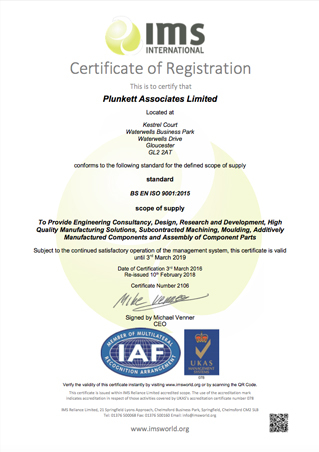 We are delighted to be recognised for our Quality Management System, and hope this highlights the on going commitment of Plunkett Associates to ensure that our customers continue to receive the highest quality parts and the very best in customer service. We would welcome any feedback, positive or negative and as always remain at your service. If you would like a copy of our new certificate, please acknowledge your request here.